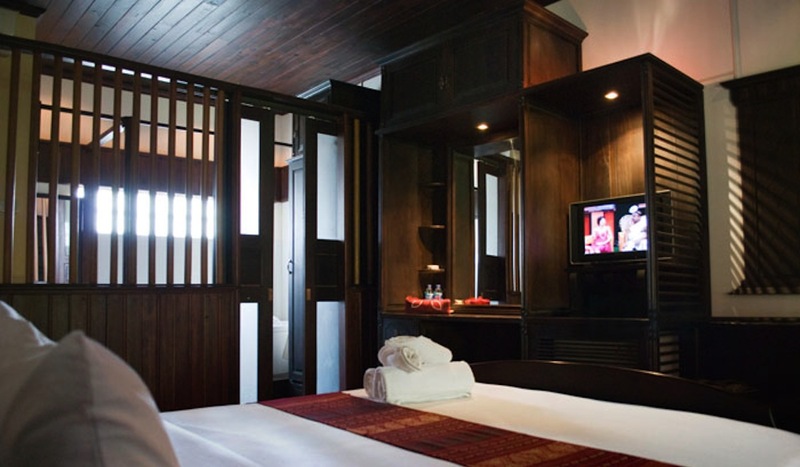 The 4-star Apsara Rive Droite Hotel is located on shores of the Nam Khan River in the beautiful city of Luang Prabang. The hotel is situated within walking distance to the downtown core, where a variety of shops, restaurants, and attractions can be found, such as Mount Phou Si, the Royal Palace, Wat Sensoukharam, and Wat Mai. The hotel is also just 1 km from Luang Prabang Airport. The Apsara Rive Droite Hotel has 9 bright and spacious guest rooms, featuring elegant contemporary decor and modern amenities. Each comfortable and well-appointed room comes equipped with a private bathroom with separate shower and bathtub. The hotel also offers a full-service bar and a restaurant. The Apsara Rive Droite Hotel in Luang Prabang! The Lao Spirit Resort is located in the Ban Xieng Lom region of Luang Prabang, 10 km from downtown and 9 km from Luang Prabang Airport. The hotel is situated in a stunning jungle setting on the banks of the Nam Khan River, and though outside of the main city, is still conveniently located to visit many of the area's most popular sites. Nearby attractions include the Xangkong Weaving & Paper Handicraft Village, the Mekong River, and the Royal Palace. 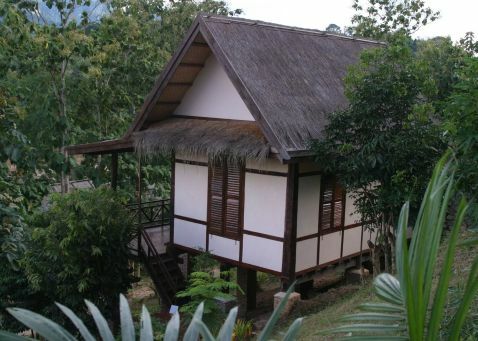 Lao Spirit Resort has 5 comfortable and spacious guest villas. The Lao Spirit Resort features a wide variety of services and amenities for guests to enjoy, including peaceful gardens. The hotel also offers a restaurant serving traditional Laotian cuisine and international favourites. Lao Spirit Resort in Luang Prabang! My Dream Boutique Resort is located steps from the Nam Khan River in the lovely city of Luang Prabang. The hotel is situated just a short walk from the downtown area, where a variety of shops, restaurants, and attractions can be found, such as Mount Phou Si, the Royal Palace, Wat Sensoukharam, and Wat Mai. The hotel is also just 1 km from Luang Prabang Airport. My Dream Boutique Resort has 21 bright and spacious guest rooms, featuring elegant rustic décor and modern amenities. Guests of My Dream Boutique Resort will appreciate the hotel's helpful, friendly service and convenient features. The hotel also offers a restaurant with open-air dining and terrace, serving regional cuisine with available room service. My Dream Boutique Resort in Luang Prabang! Le Sen Boutique Hotel is located in the heart of the beautiful city of Luang Prabang, just 1 km from the incredible variety of shops, restaurants, and entertainment options of the city center. The hotel provides guests the perfect place to stay while visiting the city, with nearby attractions such as, the popular Phouvao Street, Wat Manolom, the Royal Palace, and both the Mekong and Nam Khan Rivers. The hotel is also situated just 3 km from Luang Prabang Airport. 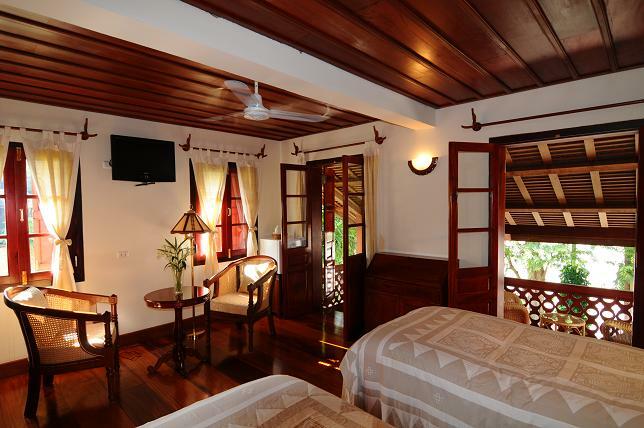 Le Sen Boutique Hotel has 19 beautifully appointed guest rooms and villas, featuring simple yet elegant décor, large windows, and crisp white linens.The hotel also offers a relaxing coffee shop, full-service bar, and a restaurant. Le Sen Boutique Hotel in Luang Prabang! The Mekong Riverview Hotel is located on the banks of the stunning Mekong River in the city of Luang Prabang. The hotel is situated 1 km from the heart of downtown, making this the perfect place to visit local attractions, shops, and restaurants. Nearby attractions include Pak Khan Temple, Wat Xieng Thong, the Royal Palace, Mount Phou Si, and Wat Sop Sickharam. The hotel is also just 2 km from Luang Praban International Airport. The Mekong Riverview Hotel has 18 beautifully appointed guest rooms featuring elegant decor with traditional Laotian influences. The hotel also offers a relaxing cafe, full-service bar, and a restaurant serving delicious regional and international dishes with available 24-hour room service. Mekong Riverview Hotel in Luang Prabang! The Luang Prabang Legend Hotel is located in the heart of downtown Luang Prabang, allowing guests easy access to all the beautiful city has to offer, including popular shops, restaurants, and entertainment options. The hotel is situated with walking distance to a variety of local attractions, such as Wat Manolom, Ho Xiang Temple, Mount Phou Si, and the Royal Palace. The hotel is also just 3 km from Luang Prabang Airport. 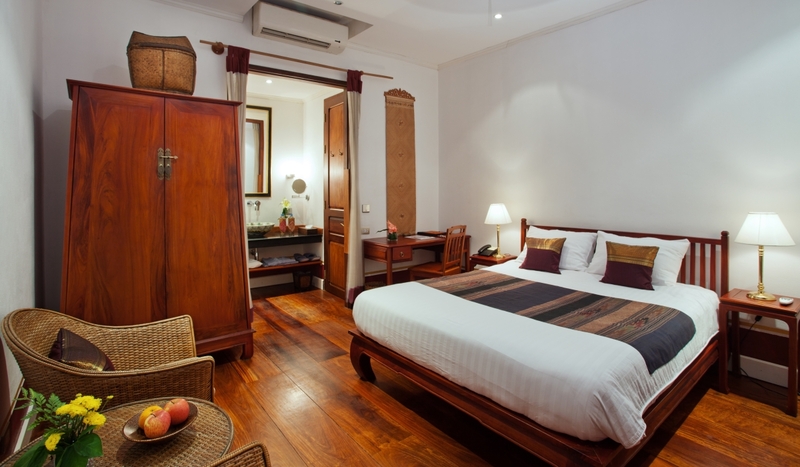 Luang Prabang Legend Hotel has 18 beautifully appointed guest rooms, featuring simple contemporary décor and Laotian architecture. The hotel also offers a restaurant serving delicious regional cuisine with available 24-hour room service. Luang Prabang Legend Hotel in Luang Prabang! 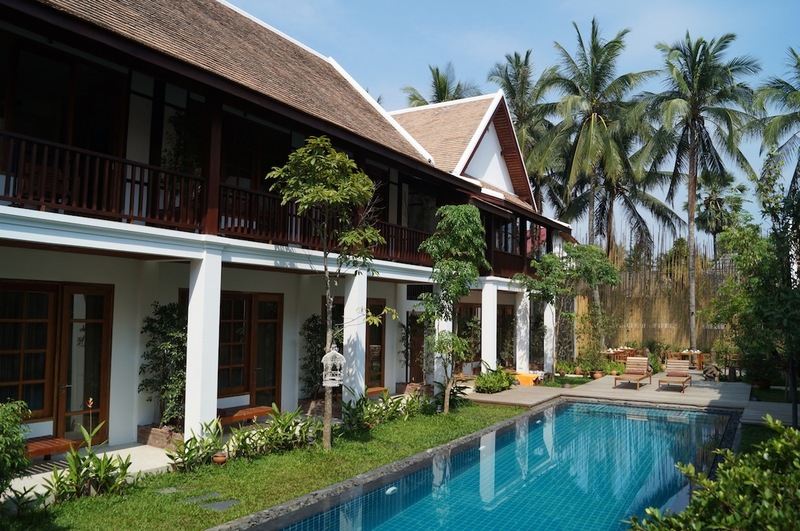 The Villa Nagara is located in Luang Prabang's Old Town district, on the banks of the Nam Khan River. The hotel is conveniently situated near a wide variety of local attractions, including Tamarind Restaurant, Ock Pop Tok Weaving Centre, the Royal Palace, Mount Phou Si, and Wat Wisunalat. The hotel is also just 2 km from Luang Prabang International Airport. 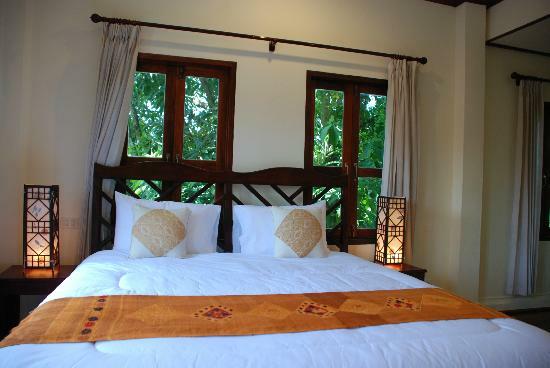 Villa Nagara has 7 comfortable and spacious guest rooms, featuring colorful contemporary décor with Laotian influences. The hotel also has a relaxing coffee shop and a riverfront restaurant serving traditional regional cuisine and international dishes. Villa Nagara in Luang Prabang! 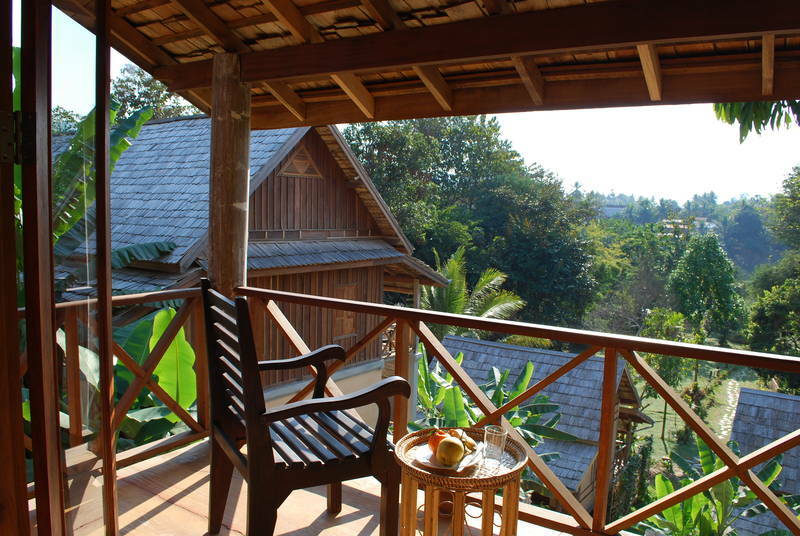 The Vangsavath Hotel is located in the Phu Vao district of the beautiful city of Luang Prabang. The hotel is situated 2 km from the heart of downtown, making this a great base for guests to visit local attractions, shops, and restaurants. Nearby attractions include Pak Khan Temple, Wat Xieng Thong, the Royal Palace, Mount Phou Si, and Wat Sop Sickharam. The hotel is also just 5 km from Luang Praban International Airport. The Vangsavath Hotel Hotel has 36 comfortable and spacious guest rooms, featuring simple yet tasteful decor and modern amenities. Each well-appointed room comes equipped with a private bathroom, large windows, sitting area, desk, mini bar, TV, and free wireless internet access. Vangsavath Hotel in Luang Prabang! The Villa Maydou Boutique Hotel is located in two traditional Laotian houses in the city of Luang Prabang, just steps from a historical bridge over the scenic Nam Khan River. The hotel is situated within walking distance to the vibrant center of town and a variety of local attractions, including Dara Market, Wat Wisunalat, the Royal Palace, and Mount Phou Si. The hotel is also situated 3 km from Luang Prabang Airport. 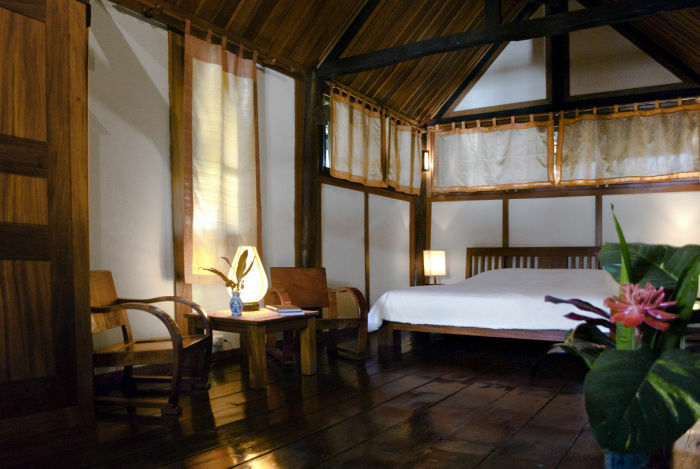 Villa Maydou Boutique Hotel has 15 beautifully appointed guest rooms, featuring elegant Laotian decor and architecture. Each comfortable and spacious room comes equipped with a large bed, private bathroom, desk, sitting area, and free wireless internet access. 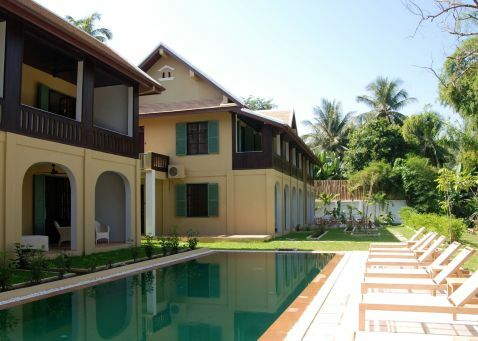 Villa Maydou Boutique Hotel in Luang Prabang! 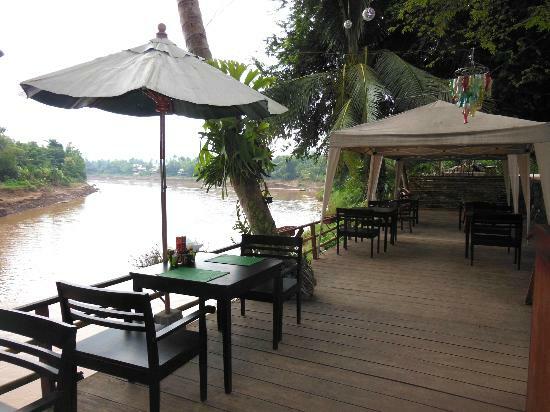 The BelleRive Hotel is located on the shores of the beautiful Mekong River in the city of Luang Prabang. The hotel is situated right in the heart of downtown, making this the perfect place to visit local attractions, shops, and restaurants. Nearby attractions include Tamarind, Wat Xieng Thong, and Wat Sensai Temple. The hotel is also just 2 km from Luang Praban International Airport. The BelleRive Hotel has 20 comfortable and spacious guest rooms featuring elegant decor with traditional Laotian accents. Each well-appointed room comes equipped with private bathroom, hardwood floors, and large windows. The hotel also has an elegant restaurant with outdoor terrace, serving delicious regional dishes with available room service. The Bellerive Hotel in Luang Prabang!